WASHINGTON (AP) - Hundreds of refugees who sought shelter in the United States during the early years of the Iraq war are coming under fresh scrutiny from U.S. government security officials for possible links to al-Qaida's affiliate in Iraq. FBI Director Robert Mueller surprised some terrorism experts Thursday when, in response to a question about threats inside the United States, he said the FBI was closely monitoring al-Qaida's Iraq-based offshoot. The group has killed thousands in Iraq but had not been viewed as a threat inside the United States. Mueller said the possible threat rested with "individuals who may have been resettled here in the United States that have had some association with al-Qaida in Iraq." Lawmakers did not follow up on the remark, but a U.S. intelligence official confirmed that multiple agencies were working to determine whether the group posed a domestic threat. A second U.S. official said the focus was primarily on Iraqis who arrived in the early years of the war. Security screening was not as rigorous then as it became in 2007, when the U.S. significantly increased the pace of resettlement. The officials spoke on condition of anonymity because they were not authorized to discuss sensitive security issues. Mueller's remarks suggested the focus was on refugees who associated with the terrorist group in the past. There was no indication from his remarks or from other officials that there is an imminent threat. From 2003 through 2006, the U.S. resettled about 700 Iraqi refugees, with more than half arriving in Michigan, Arizona, Texas, California and Illinois, according to State Department figures. The pace rose sharply beginning in 2007, and more than 58,000 Iraqi refugees have arrived in the U.S. since the start of the war. The U.S. definition of al-Qaida in Iraq has always been somewhat loose, especially early in the war, when it wasn't clear if there was a link between AQI leader Abu Musab al-Zarqawi and hundreds of thousands of Sunni Muslims who were either members of Saddam Hussein's now-outlawed Baath Party or belonged to other insurgent groups that opposed the invasion. Early in the war, priority often was given to refugees who worked as translators or otherwise helped U.S. troops. The Iraqi lawyer who tipped off the U.S. to the location of prisoner of war Jessica Lynch in April 2003, for instance, was granted asylum in the U.S. along with his family. The tip led to Lynch's rescue. 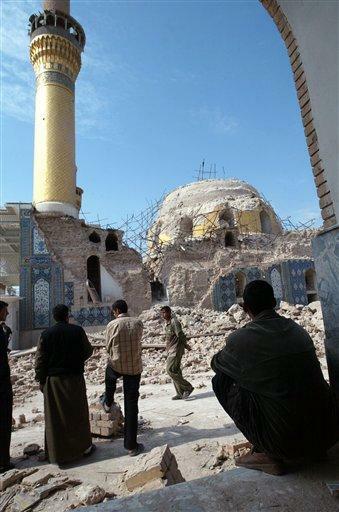 Associated Press writer Lara Jakes in Baghdad contributed to this report.